Wimpy's is a counter service restaurant in Universal's Islands of Adventure. Skip it. 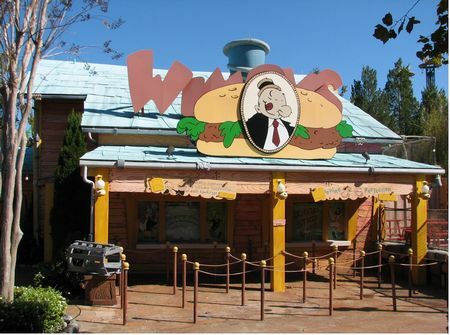 Open only during busy seasons at the park, you’ll find burgers, as well as chili dogs and chicken fingers, at Wimpy’s. But, ironically, he will not gladly let you pay Tuesday for a hamburger today. You’ll be paying when you order at the counter, just like everywhere else. Hypocrite.